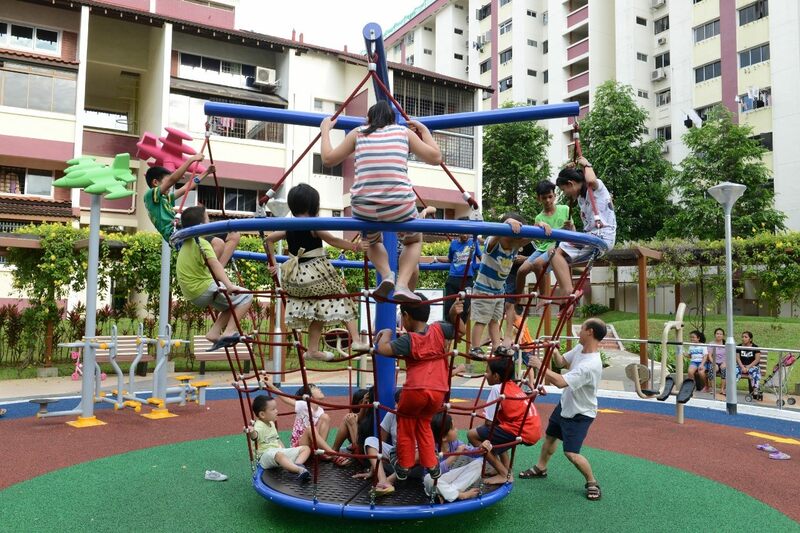 The Integrated Family Playground located at Block 355 Bukit Batok Street 31 was officially re-opened by Dr Amy Khor Lean Suan, Senior Minister of State, Ministry of Health and Minister of the Environment and Water Resources, MP for Hong Kah North and Vice-Chairman of Chua Chu Kang Town Council on 28 February 2016. 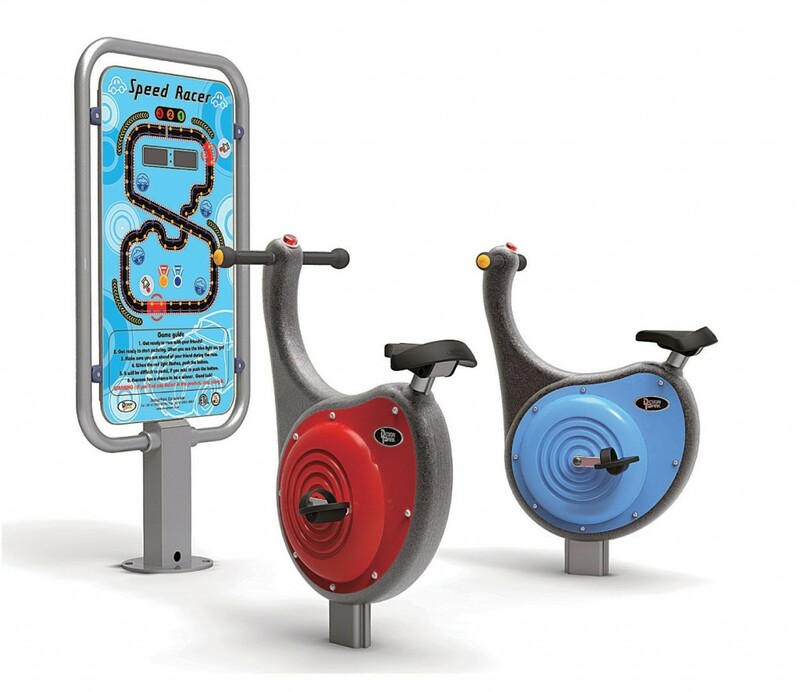 The children can now have fun with other neighbouring children at the upgraded playground which consist of an innovative new-concept cycling station called “Speed Racer” which uses human kinetic energy to power an electronic racing game board. Game on! Recently, various media reported that not only are the number of dengue cases expected to increase this year, but the cases are also expected to spike earlier than in previous years. 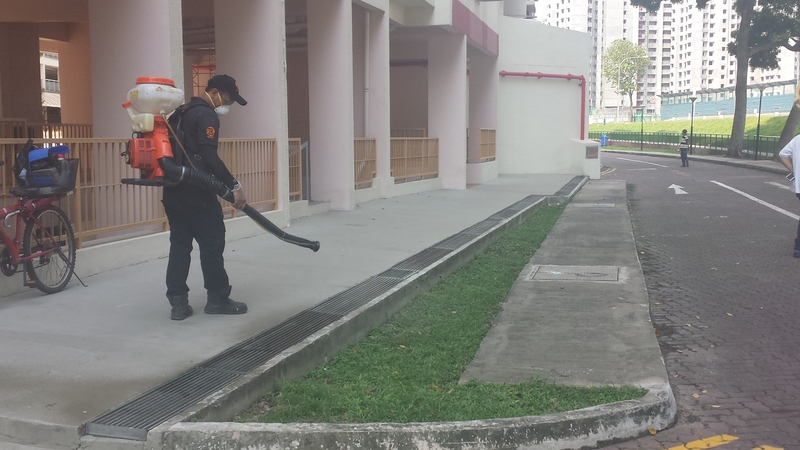 We will continue to diligently inspect the estates for potential dengue breeding sites, and to carry out our scheduled fogging. We also encourage residents to be vigilant of mosquito breeding in their homes. About 80% of mosquito breeding sites were found in our residents’ homes. The external areas such as construction sites, shopping centres and surrounding areas make up the remaining 20%. 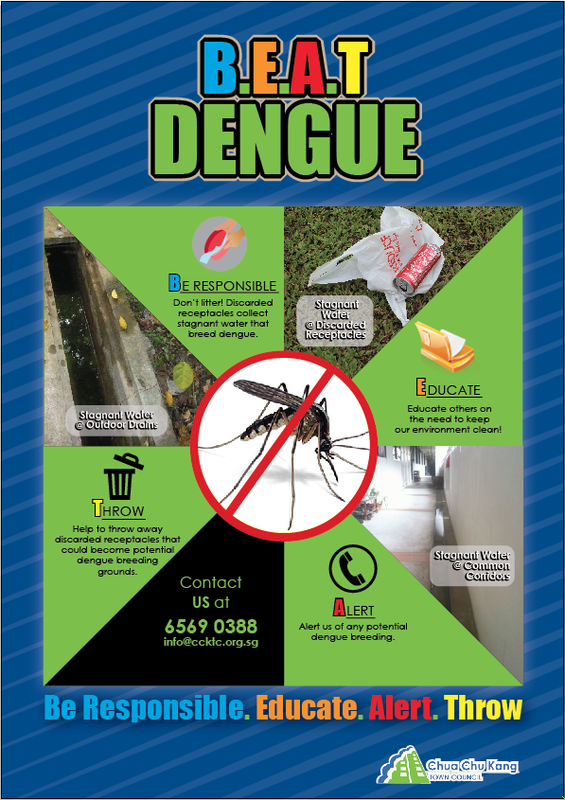 We hope that residents continue to take all necessary precautions to keep safe from dengue. 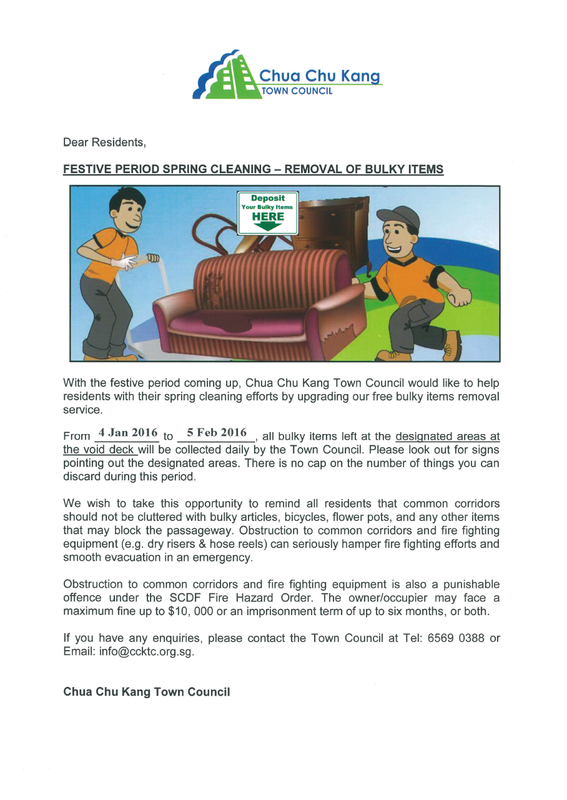 With the festive period coming up, Chua Chu Kang Town Council would like to help our residents with their spring cleaning efforts by upgrading our free bulky items removal service. From 4 Jan 2016 to 5 Feb 2016, all bulky items that are left at the designated areas at the void deck will be collected daily by the Town Council. There will be signage at the void deck to point out the designated areas. There is no cap on the number of things you can discard during this period. 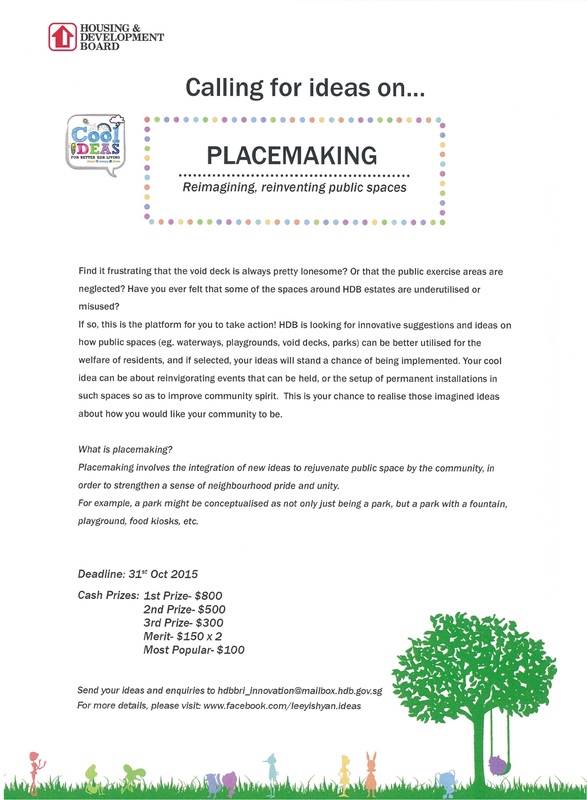 If you have any enquiries, please contact the Town Council at Tel: 6569 0388 or info@ccktc.org.sg. * Please note that the service is strictly not applicable for house moving purposes and/or for renovation debris. In an effort to improve the overall cleanliness and safety around our town, please ensure that the common corridor that you share with your fellow neighbours are not cluttered with bulky or flammable items. 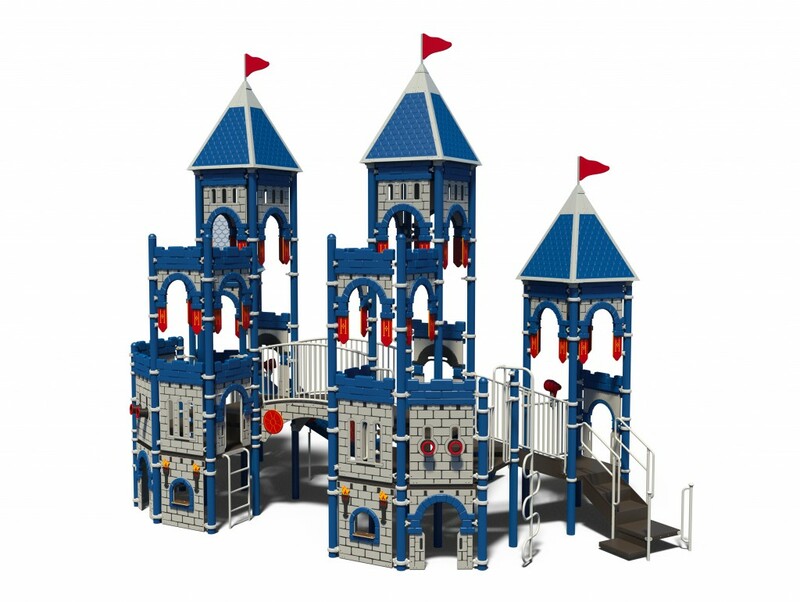 Obstruction to common corridors, staircases and firefighting equipment (e.g. dry risers & hose reels) can seriously hamper firefighting efforts and evacuations during an emergency. We would like to seek your co-operation to remove your item(s) that are cluttering and/or obstructing the common corridor and staircases. 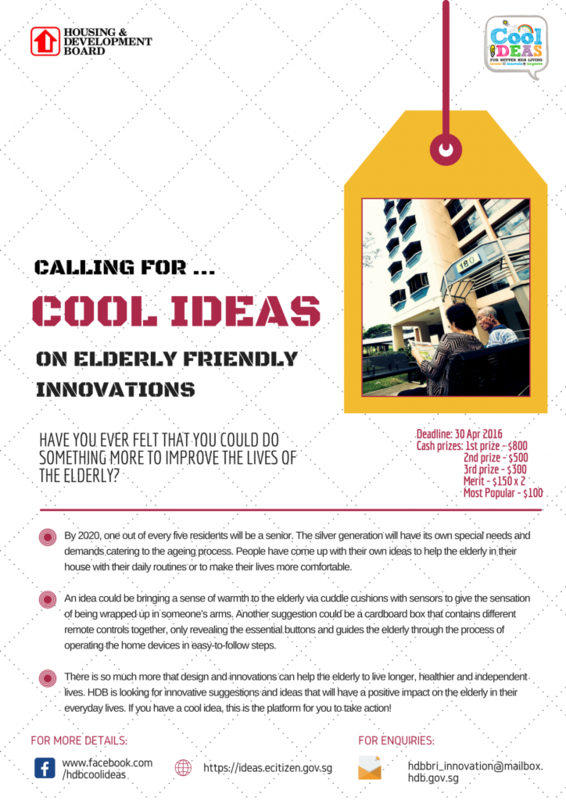 Should you need any assistance in doing so, you may contact us by calling 6569 0388 or emailing info@ccktc.org.sg. Together we can make our home, a safer and cleaner place for all. 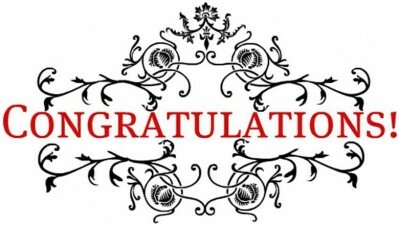 Congratulations to the winners of Chua Chu Kang Connects Newsletter Contest! Thank you for the overwhelming response to Chua Chu Kang Connects Newsletter Contest! Congratulations to our 10 Lucky Winners who will be walking away with a Chua Chu Kang Town Council goodie bag worth up to $50 and two tickets to any S-League match! * Please note that the winners will also be notified via post. If you are a winner and have not received our letter via post, kindly email us at info@ccktc.org.sg so that we may make the necessary arrangements. 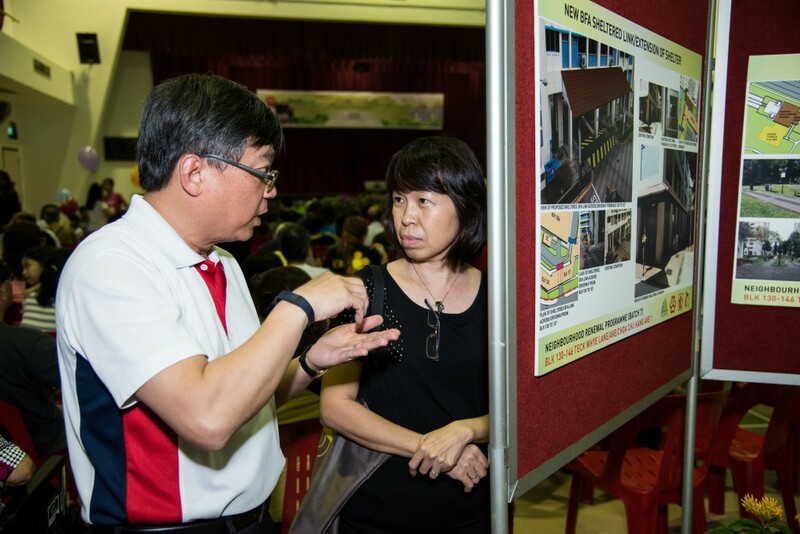 Following the recent unfortunate lift accident where an elderly lady’s hand was trapped, Chua Chu Kang Town Council embarked on a comprehensive inspection of all lifts within our estate. This was conducted in addition to our regular routine checks. From 12 October onwards, our Lift Maintenance teams started the first round of checks on the lift safety features. From 15 to 16 October 2015, our officers inspected over 1800 lifts. Their main aim was to ensure that all safety measures were functioning properly and to rectify any faulty sensors or door safety edges. We would also like to encourage residents to report any lift faults by calling 6569 0388 (during office hours) or 1800 275 5555 (after office hours). Together, we can make our town a safer place for all. 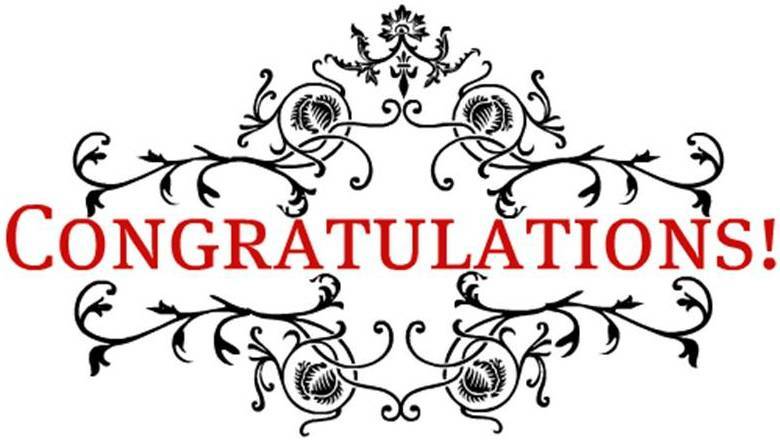 Congratulations to our Town Council Councillors! We wish to congratulate our Town Council Councillors on being conferred the following awards at the 2015 National Day Awards! 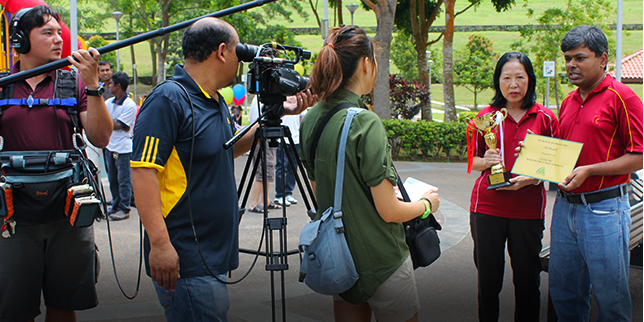 Chua Chu Kang Connects Special Edition Out Now! 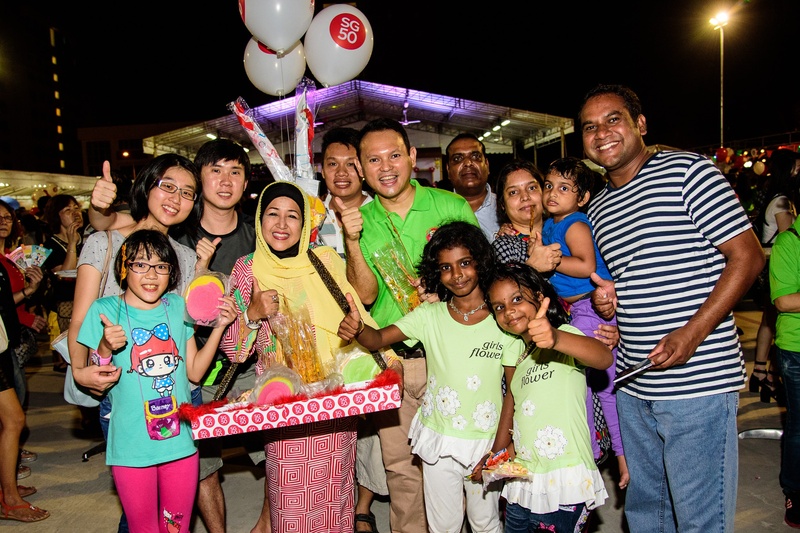 We are pleased to announce that the Special Edition of Chua Chu Kang Connects has been published! Each division now receives a newsletter uniquely catered to feature projects happening around the estate. The newsletters are available for download here and are also being distributed directly to your letterbox/household. 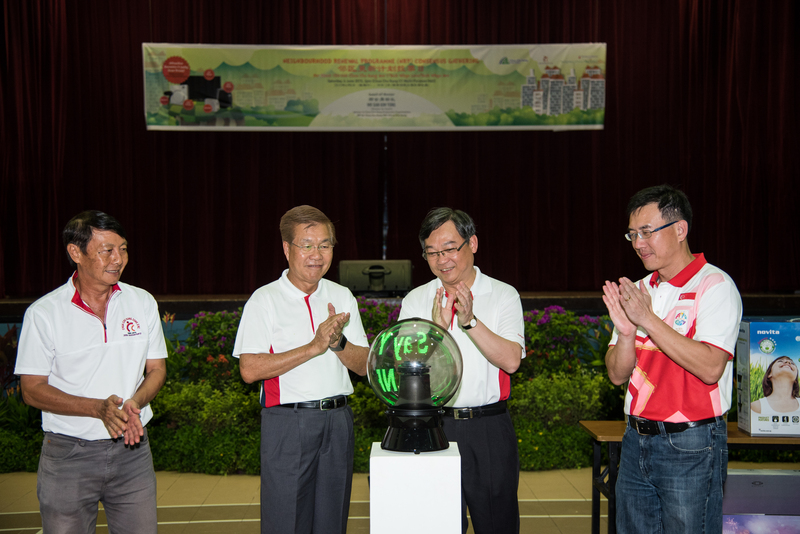 We are pleased to announce that the Chua Chu Kang GRC 5 Year Master Plan has been uploaded onto our website for your viewing. It consists of a summed up Chua Chu Kang GRC and Divisional (Bukit Gombak, Chua Chu Kang, Hong Kah North, Keat Hong, Nanyang) 5 Year Master Plan. The 5 Year Master Plan will be a rolling exhibition and is open for public viewing and feedback during events by the respective divisions. 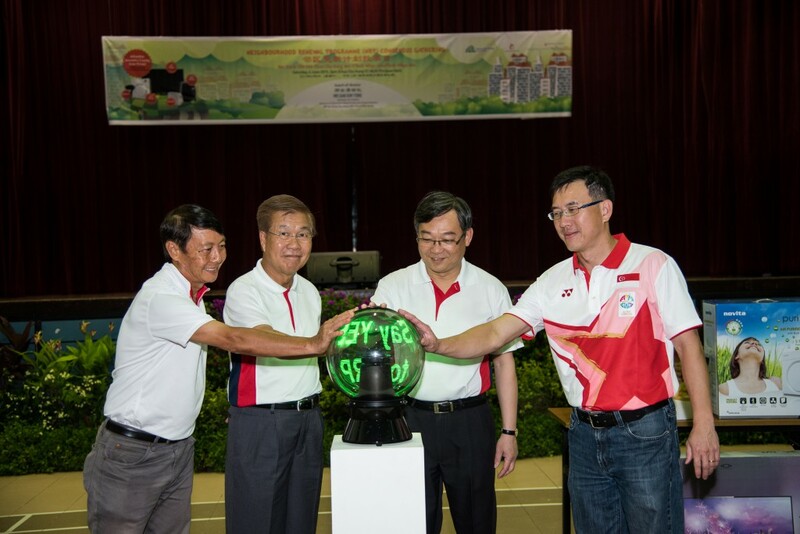 Please view the Chua Chu Kang GRC 5 Year Master Plan here. More than 400 residents from Blocks 130 – 146 of Choa Chu Kang Ave 1, Teck Whye Lane and Teck Whye Ave joined us at the Neighbourhood Renewal Programme (NRP) Consensus Gathering on Saturday, 6 June 2015, 2pm at Chua Chu Kang Community Club Multi-Purpose Hall. 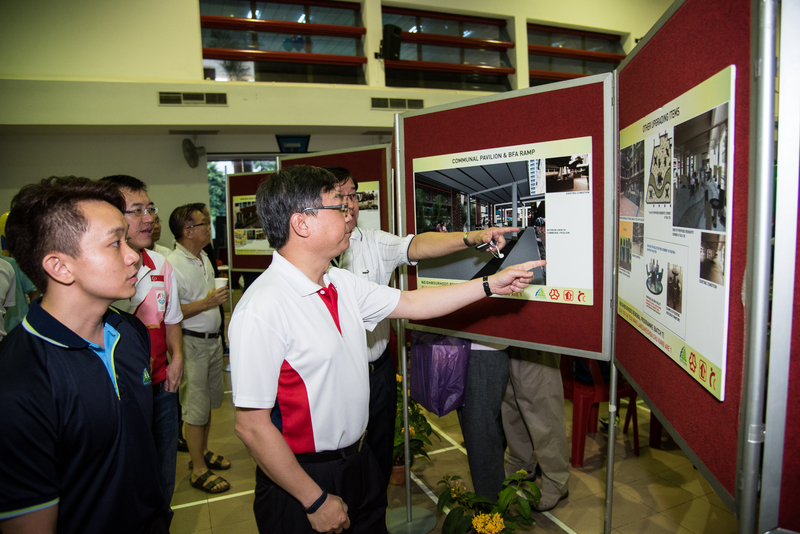 Guest-of-Honour, Mr Gan Kim Yong, Minister for Health, MP for Chua Chu Kang GRC (Chua Chu Kang) graced the event to garner support from the residents for the NRP. It was great to see our residents enjoying themselves to the food and refreshments, not to mention the exhibitions, games, performances and photobooth as well. Once again, we thank all residents for showing their support for the NRP and we hope that the upgrading projects will create a better living environment for all! 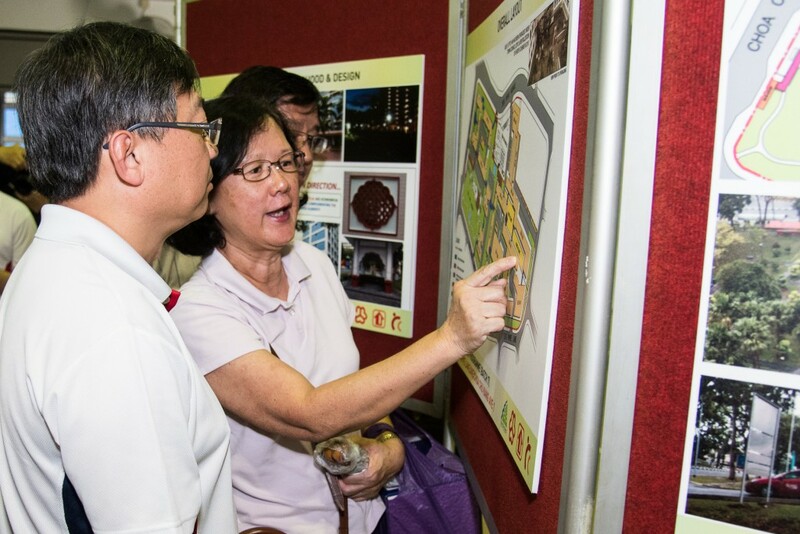 We cordially invite the residents of Block 130 – 146 Choa Chu Kang Ave 1/ Teck Whye Lane/ Teck Whye Ave to join us at the Neighbourhood Renewal Programme (NRP) Consensus Gathering on Saturday, 6 June 2015, 2pm at Chua Chu Kang Community Club Multi-Purpose Hall. The NRP’s aim is to upgrade and improve the estate through the renewal and provision of additional facilities. The NRP cost will be fully funded by the Government and residents need not pay for the programme. The NRP will only be implemented if at least 75% of the eligible lessees in this neighbourhood vote in favour of it. Thus, it is important that all residents support and vote “YES” for the NRP during the NRP Consensus Gathering. 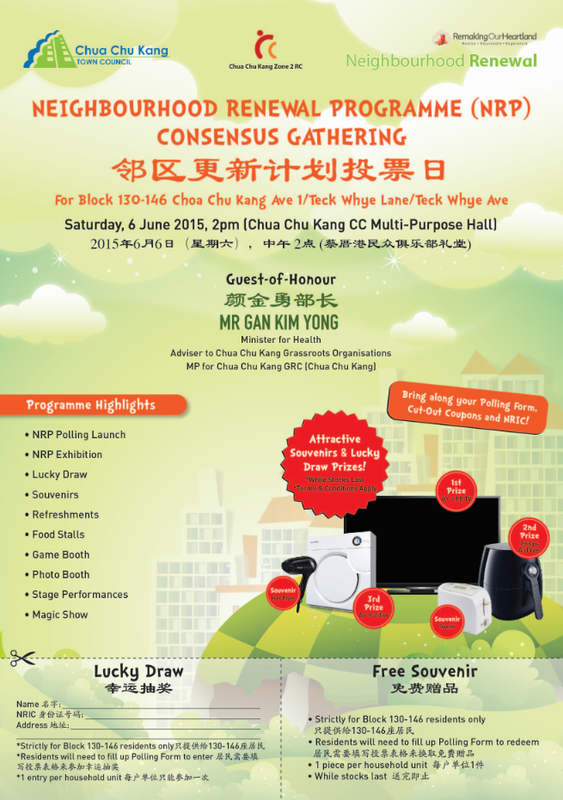 We have also prepared attractive souvenirs, lucky draw prizes, refreshments, games and food stalls for the event. We hope to see you there! 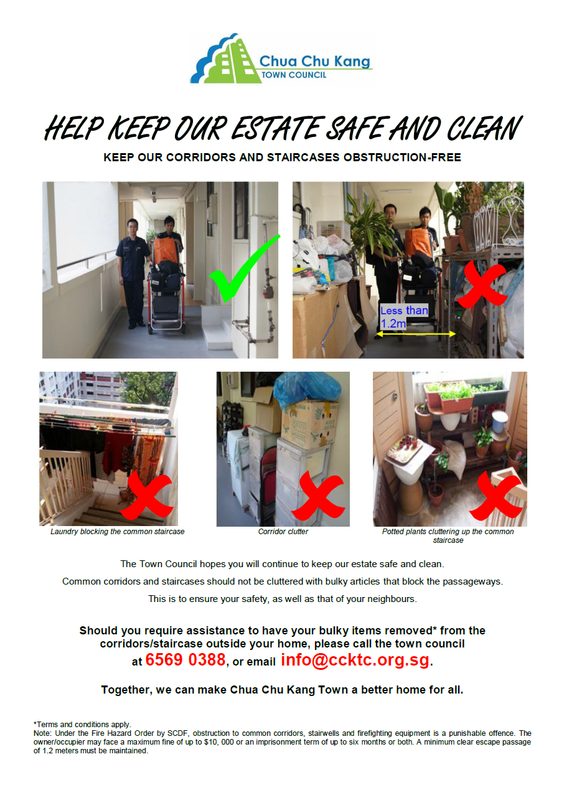 Congratulations to the winners of Chua Chu Kang Connects’ Clutter Free Contest! 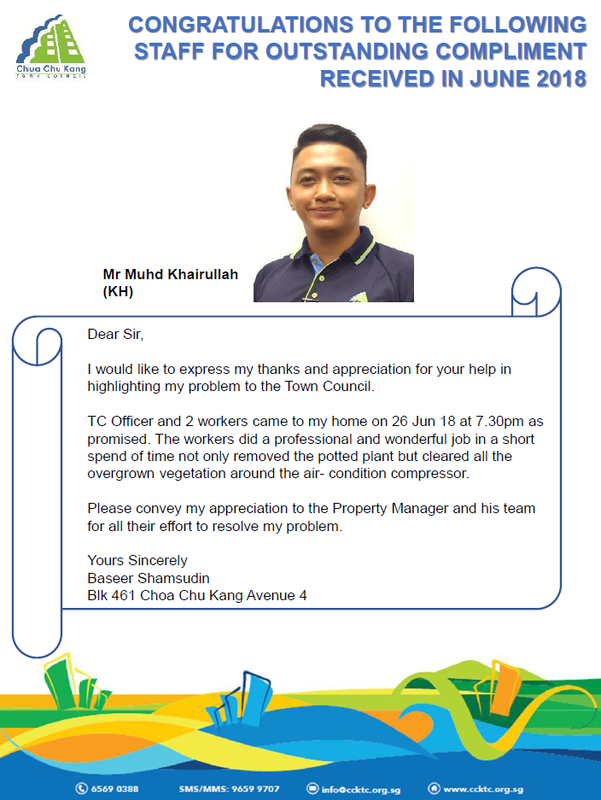 Thank you for the overwhelming response to Chua Chu Kang Connects’ Clutter Free Contest!